Today it has become difficult for a business owner to secure capital from traditional financial institutions. Statistics show approximately 80% of small businesses that apply for loans from big banks get rejected for one reason or another. In order to deal with this gap, the merchant cash advance was developed to help merchants fund their businesses. An MCA is a simple and flexible alternative funding source that requires less amount of paperwork and provides quick access to cash. If you are working in the MCA industry, now is the right time to launch your marketing campaign and reap the benefits. Getting fresh and qualified UCC leads will help you know your target prospects and sell business loans quickly. UCC lists are records containing information such as the names and contact details of those businesses who have applied for a merchant cash advance before and are expecting to seek one again. The best part is that since they have already taken an MCA loan, they are aware of the loan process which makes your job much easier. When planning to launch a marketing campaign to sell merchant cash advances, getting UCC records will help you reach your prospects faster. An MCA provides a much quicker approval times than a bank. This translates to faster cash-in-hand, allowing you to take advantage of current market prices. 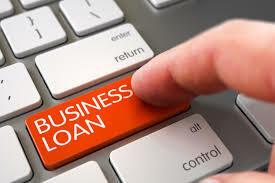 Business loans require you to have collateral to gain favorable consideration, while an MCA simply requires you to be subject to a limited number of conditions. A cash advance is also much more beneficial for the cash flow of a company since it does not require any monthly payments or upfront fees that are characteristic of traditional loans. There is no limitation on how the funds acquired from an MCA can be used. Funds loaned through a financial institution must be used for a stated purpose by the business. They help improve business credit by allowing the owner to pay off other loans. Explaining how a merchant cash advance is a better solution will help you attract leads and sell MCAs. UCC data outperforms all other lists available in the industry. The biggest reason why UCC leads list are highly preferred to generate business loan leads is due to the reliability of the data sources and conversion ratio of the leads provided. At Merchant Financing Leads, we make use of proprietary software to extract and provide you with accurate data at a competitive price. Our UCC data records contain information such as company name, phone number, mailing address, city and state along with the zip code. These UCC lists are highly beneficial for marketing campaigns such as telemarketing, direct mail and postcards offering merchant services. Next Next post: Don’t Waste Time Finding Business Loan Leads. Invest in a Strategic Lead Generation Service Today!